Compond X's powerful bio-computer has begun to malfunction and "X-Tra", aka the external threat recognition assault system, is firing on anything that moves. In fact, the computer has accessed the nation's nuclear weapon countdown systems for a retaliatory strike. 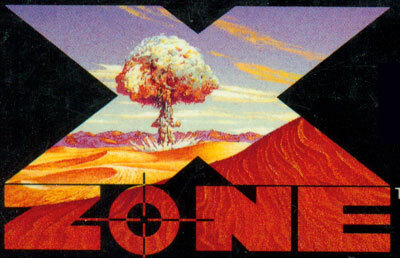 Since nuclear war might X-tinguish life on the planet, the player must enter the X-Termination zone of the compound and fight on through defenses to the central computer. X-Zone is a first person light gun game. The player must shoot the robotic enemies on the screen and the projectiles that they launch at the player. Most levels are ended with a battle against a boss, which follows specific patterns and whose systems/weapons must be shot at and destroyed individually.